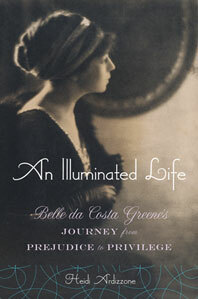 An Illuminated Life - Description | W. W. Norton & Company Ltd. The secret life of the sensational woman behind the Morgan masterpieces, who lit up New York society. What would you give up to achieve your dream? When J. P. Morgan hired Belle da Costa Greene in 1905 to organize his rare book and manuscript collection, she had only her personality and a few years of experience to recommend her. Ten years later, she had shaped the famous Pierpont Morgan Library collection and was a proto-celebrity in New York and the art world, renowned for her self-made expertise, her acerbic wit, and her flirtatious relationships. Born to a family of free people of color, Greene changed her name and invented a Portuguese grandmother to enter white society. In her new world, she dined both at the tables of the highest society and with bohemian artists and activists. She also engaged in a decades-long affair with art critic Bernard Berenson. Greene is pure fascination—the buyer of illuminated manuscripts who attracted others to her like moths to a flame.